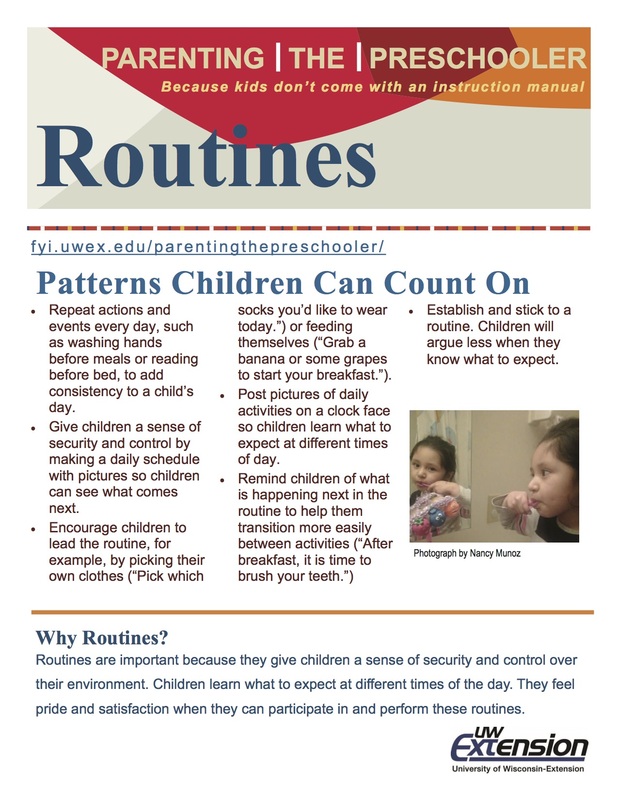 Routines are important because they give children a sense of security and control over their environment. Children learn what to expect at different times of the day. Preschoolers like to be independent but sometimes they need a parent’s encouragement. Learn how to support preschoolers independence through routines by reading this fact sheet. Higgins, N. (2012). Learning through Routines. Raise Learning. Lefebvre, J. E. (2005). Routine: Things your Child Can Count On. 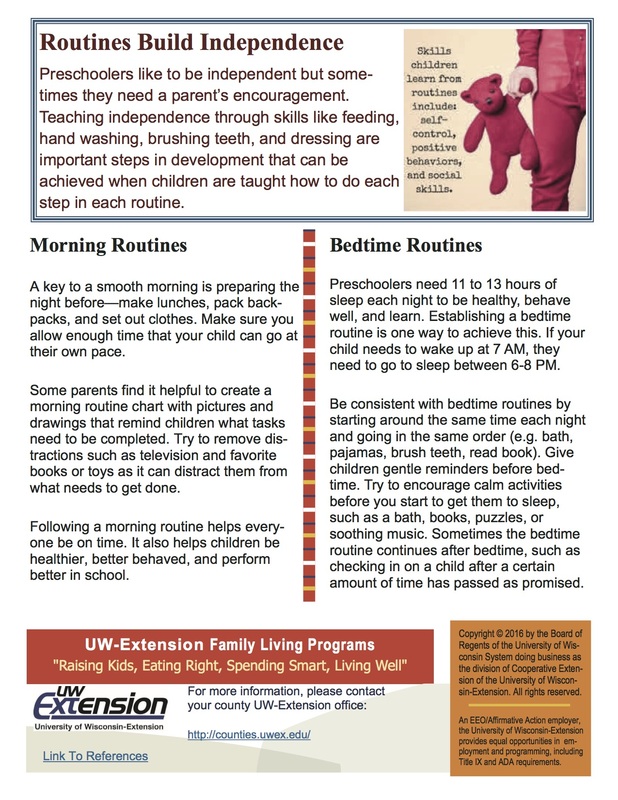 Parenting the Preschooler, University of Wisconsin – Extension. Steinkraus, A. (2012). Helping Children with Daily Routines. Parent Pages, Cornell Cooperative Extension. Gutierrez, E. (2012). 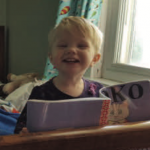 Establish Predictable and Consistent Routines for Toddlers. Michigan State University Extension. 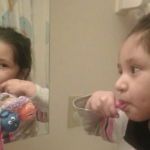 Teaching your Child to: Become Independent with Daily Routines. The Center on the Social and Emotional Foundations for Early Learning, Vanderbilt University. eXtension Network. (2013). Bedtime Routines Help Get Children to Sleep. Ferret, L. K. (2012). 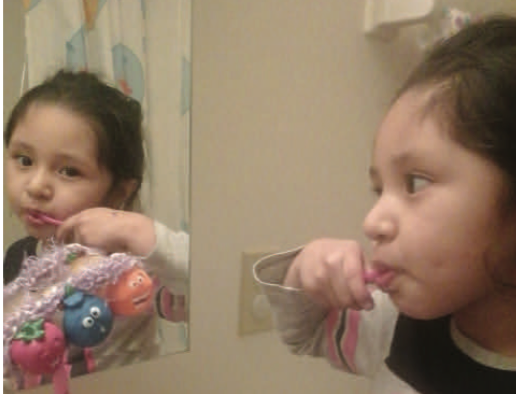 Morning Routines with a Preschooler. Auburn University, eXtension Network. Mulhollem, J. & Gill, C. (2010). Relaxing Bedtime Routine Helps Children to Sleep Soundly. Penn State University.